CuatroCrazies takes the US by storm, ay? The band CuatroCrazies will be in town this summer and their newest set looks to be out of control. With cannons of glitter followed by fire, this indie/punk/country/thrash/electronica band puts on a show not to be missed. CuatroCrazies hails from the most northern province of Canada, Nunavut, and has produced such hits as “Taco, Burrito (I Wanna See Your Speedo)” and “Burr Said the Inuit (Let’s Party)”. Their latest album “Mr. Haha’s Whimsy Trees” has furthered their superstardom in the tundra. CuartoCrazies first album, “I Wanted a Dream Dictionary and All I Got Was This Rickshaw” launched CuatroCrazies from nothingness to Beiber-like glory in Canada. The show will be taking place at the park this summer. CuatroCrazies is also available for weddings, funerals and fun times. 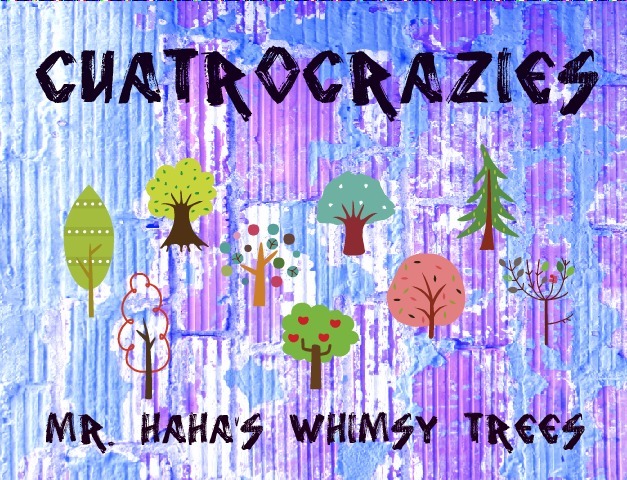 CuatroCrazies’s latest album is an eargasm.